Lycopodium is prepared from the spores of a fungus called as club moss. It is an inert substance until it undergoes the process of potentization to reveal its latent curative powers. Lycopodium is a deep acting, constitutional remedy having a very wide sphere of action. It positively affects the nutrition, respiratory system, urinary system, gastrointestinal system, reproductive system, lungs, skin, etc. It’s frequently used for the treatment of asthma, pneumonia, nephrotic syndrome, urinary infections, dyspepsia, liver diseases, ascites, skin complaints like eczema, abscesses, acne, urticaria, etc. Rattling, teasing cough with difficulty in breathing that is worse on lying down on the back. Deep hollow cough with foul expectoration. Feeling of tightness in the chest with the flapping of alae nasi. Chest feels full of rattling mucus and the symptoms are worse on descending. 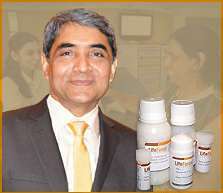 It is one of the splendid acts of homeopathy that substances labeled as inert can also be used effectively to treat a large variety of disorders. Silica is the example of one such substance, which is chemically inert in its natural form, but after undergoing the process of potentization it gets transformed into a wonderful, deep acting remedy. Silica is in the true sense called as polychrest remedy as it has a broad spectrum of action, useful for a wide range of disease processes. In fact, this remedy has helped Homoeopaths world over to treat so-called surgical conditions gently without requiring a knife. This drug is prepared from the impure sulphate of calcium. It predominantly affects the nerves, respiratory system, skin, throat, mastoid, glands, etc. Hepar sulph is one of the commonly used remedies for asthmatic bronchitis, recurrent tonsillitis, sinusitis, chronic cough due to bronchitis, hoarseness, etc. Apart from these complaints it also deals efficiently with skin infections, fevers, abscesses, mastoiditis, etc. It is one of those remedies in homeopathy that can do away with the use of the knife. Patients requiring Hepar sulph. have a tendency to develop easy suppuration of skin injuries. These patients are extremely sensitive to cold air, cold food, and drinks, etc. Shortness of breath and smothering sensation on lying down in the bed must sit up in bed to get relief. A loose cough in a morning but a dry cough in evening and at night. Thick, purulent, sweetish or salty expectoration. Symptoms are worse in heat and better in the open air. This remedy is prepared from the toasted sponge and after undergoing the process of potentization, the wonderful curative properties of this drug are brought forth. Spongia is one of the wonderful remedies for respiratory complaints including asthma, allergic bronchitis, laryngitis, whooping cough, etc. Asthma with profuse expectoration; difficult to bring out the expectoration and it must be swallowed. Fullness and oppression in the chest that is better after eating little. Difficulty in breathing that is better by throwing the head backward. Noisy whistling inspiration and a barking, croupy cough are important pointers to this remedy. Symptoms come up due to the ill effects of damp, rainy weather. The patient develops a cough with thick, ropy, greenish expectoration, chest feels all gone. Discharges are thick, mucoid, frothy; initially white later on green or greenish yellow. The patient feels worse in damp weather, from the night air, cold food and drinks, vegetables, fruits, in cellars, etc. Respiratory symptoms are better in warm, dry air.